The President’s have only received a pay increase 5 times in the United States. Picture it with a step graph. Calculate the actual salary using the CPI (Consumer Price Index). Do the Presidents need a raise? Which movie do you think is the highest grossing holiday movie of all time? Students analyze holiday movie data. They will round, estimate, compare, calculate percent increase, consider the most appropriate graphical representation and graph the data. 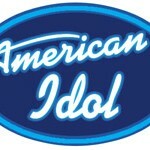 Let your student study American Idol viewing figures over the last eleven seasons. Students compare historical season premier and season finale audience size in several different ways to determine which event has had higher viewership.